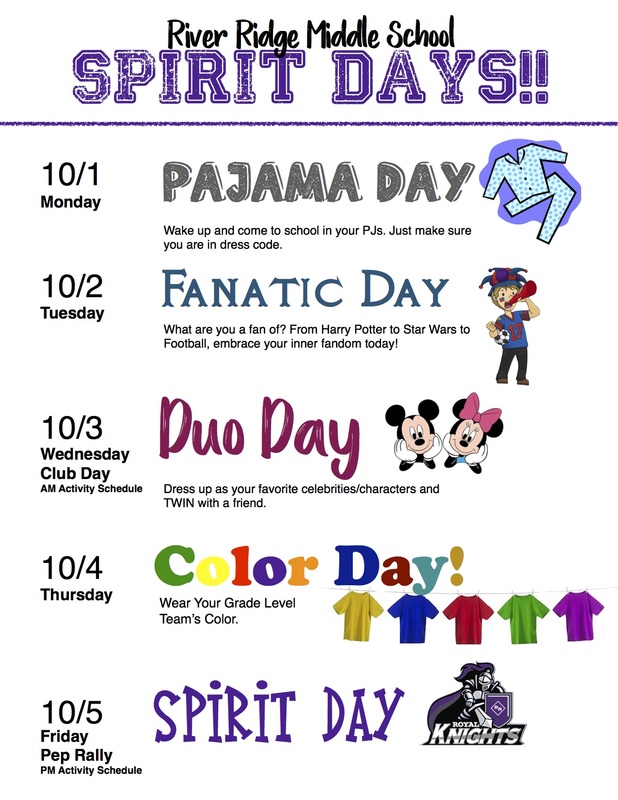 The entire River Ridge campus will be celebrating River Ridge Spirit Week from October 1-5 with dress up days and a Pep Rally on Friday! We are collaborating with the high school for their Homecoming Week but our theme will be Involvement! When dressing up, students should stay in dress code but may wear hats if it goes with their outfit. There should be no masks or props. 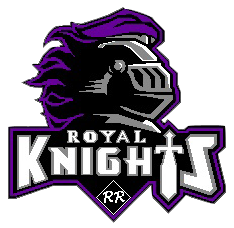 Each day we will count those students who dress up in lunches which will be added to the overall spirit points for the Spirit Stick at the Pep Rally.